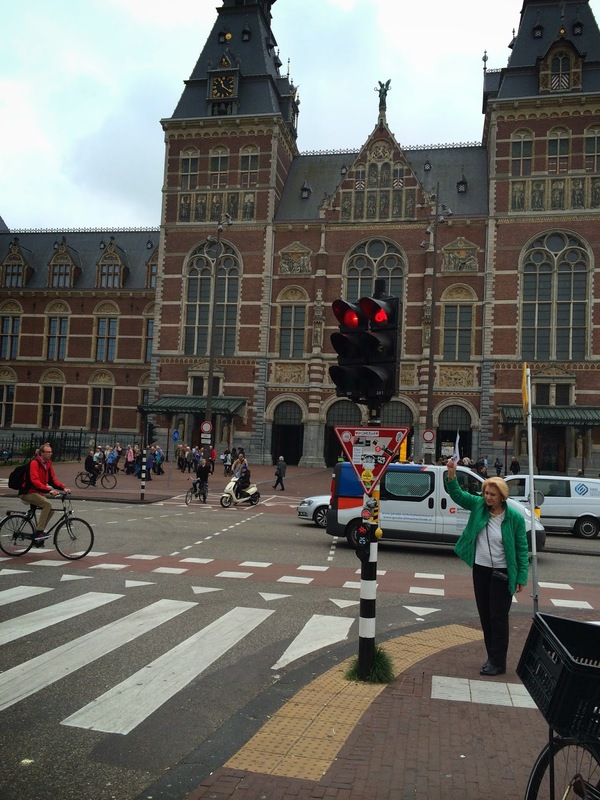 I had the pleasure of visiting the Rijksmuseum in Amsterdam last week. I was really looking forward to it as it had been closed for many years due to refurbishing and it is home to so many iconic works of art. But my pleasure was ruined due mobile phones. When did it become acceptable to photograph works of art in Galleries? Is this a new think? I don't remember encountering it before. Why can't people just look and enjoy the moment and if they need a memory of the experience why cant they buy a postcard in the shop? 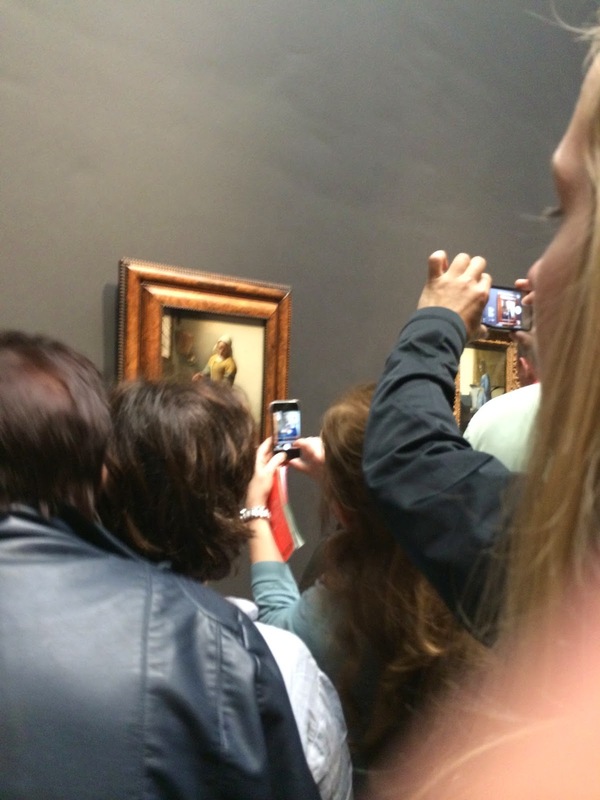 It was especially annoying where the art work was small such as the Vermeer, you can see what I mean by the pictures below, now this may seem like a contradiction, me using my phone camera too, but I am taking pictures of those taking pictures, not photographing the art work which was almost impossible to see. The Gallery is beautiful and well laid out and easy to get around, I down loaded their app. before hand which is handy so that you know what you want to see and where it is. Their audio guide was also excellent although the que to pick it up was long and slow. There is an "Art is Therapy" exhibition running along side the main displays by Alain de Botton and John Armstrong which I very much enjoyed, as the name suggests it highlights the therapeutic effect of art, although it did not comment on the negativity of having to view it alongside snap happy art lovers. 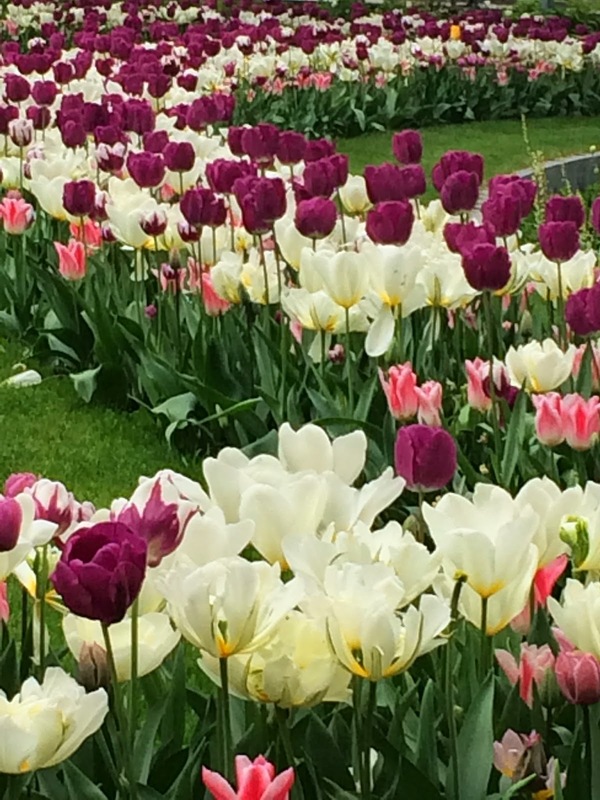 How can I write a post about Amsterdam in April without including a photo of some tulips, These were in the garden outside the Rijksmuseum, this year they were early so we were lucky to catch the end of them.